Classic window styles have stood the test of time, and remains a favorite among homeowners despite newer, modern styles. You can mix and match styles with little risk of making it look out of place. 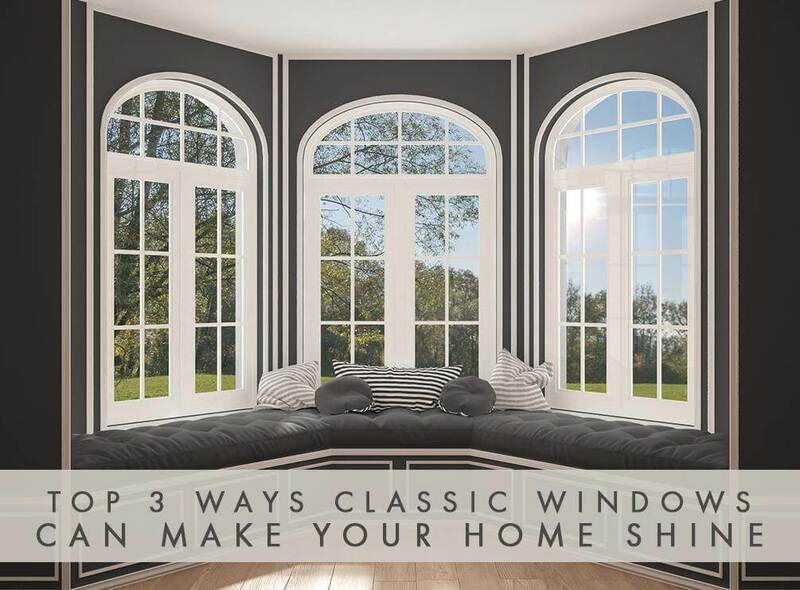 The following are the ways classic windows make your home look brilliant. Coming home has an expected sense of familiarity and comfort, and that same sense carries over to classic windows. The familiar shapes and operation give a comfortable familiarity that modern window styles don’t match. Traditional design is all about balance and this carries over to classic window styles. In fact, with the exception of custom window shapes, every single classic window style is symmetrically-shaped. The visual balance adds a sense of stability and makes the home look more inviting to guests. If the phrase “classic windows” evoke images of old, stuffy, or even historic homes, you might be surprised how these traditional replacement windows shapes can be styled to fit even the most streamlined, modern home designs. To achieve this level of customizability, we partnered with Alside, a leading replacement window manufacturer that provides a wide selection of window customization options. Alside replacement windows allow different interior and exterior finishes to better match your home’s existing finishes. Even their UltraTrim™ options can match your existing design motif, down to the wood textures. You can choose from Colonial, diamond, prairie and double prairie grid patterns to further customize the window design. These window options add up to classic replacement windows with a modern feel. To know more about our classic window styles and customization options, call Kroll Construction today at (888) 338-6340 or fill out our contact form to schedule your free in-home consultation and estimate. We serve homeowners in Detroit and other nearby areas in Michigan.